Kanye wants to make America great again. Last night during MTV’s VMAs, Kanye West was presented the Michael Jackson Vanguard Award, and was given a microphone and a stage, virtually assuring something memorable would happen. During the 12-minute acceptance speech, Kanye addressed the 2009 VMA controversy when he interrupted Taylor Swift (he still feels bad about it), his disdain for award shows in general (successful artists shouldn’t be labeled “losers”), the confidence of milliennials (“I’m confident. I believe in myself. We the millennials, bro. This is a new mentality. We not gonna control our kids with brands!”) and finally, his own political aspirations. Before he left stage, Kanye confirmed a suspicion literally no one had been considering. 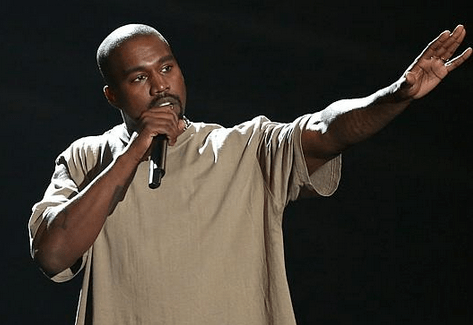 “Yes, as you probably could have guessed by this moment, I have decided in 2020, to run for president.” It’s hard to know if he was serious, but at this point, there is nothing Kanye West could do that would surprise anyone.